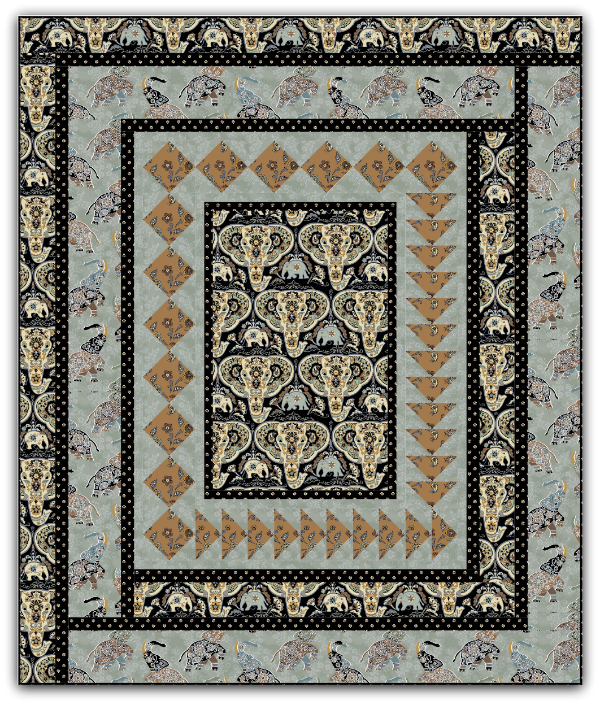 The Elephas quilt is designed with the Bombay fabric line by Andover Fabrics. This is a beautiful fabric line featuring gorgeous elephants. Finished Size will be 64" x 76"